There’s nothing better than seeing a happy couple embracing their cultural heritage! 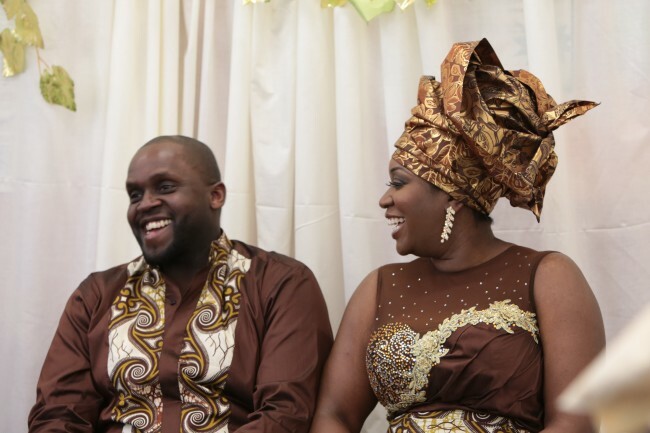 Today’s featured wedding is a traditional Ghanaian engagement ceremony in the UK. Catherine is a successful businesswoman and founder of Arhinarmah, a luxury home decor brand, who didn’t think she’d ever get married. Until, that is a mutual friend introduced her to her fiancé Jeffrey. 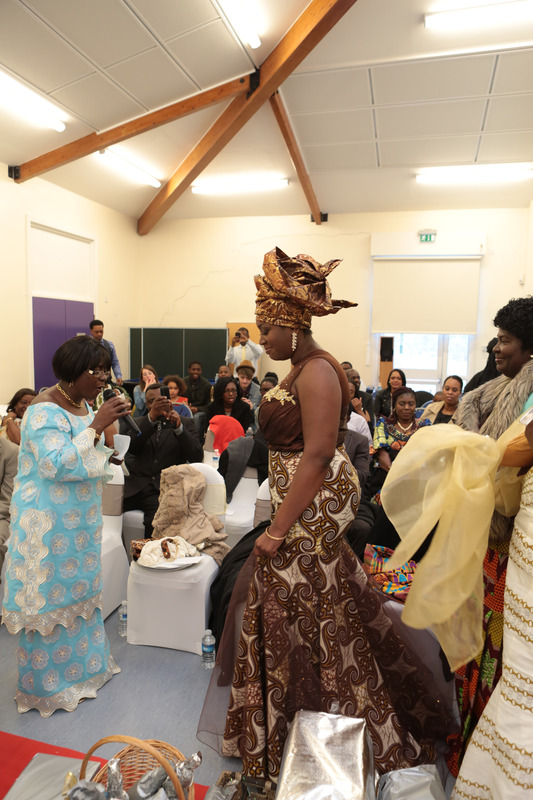 Although Catherine and Jeffery were raised in London, they both have a big respect for their Ghanaian culture and the couple held their traditional ceremony at the Old Oak Community Center in West London. Tell us about the wedding? I never thought I would do the traditional ceremony but after Jeffery popped the question making sure I maintained that connection with where I come from became really important. In Ghanaian culture the traditional ceremony is usually held at the paternal home of the bride, however we had in excess of 100 people who wanted to be present at ours so we opted for a local community center instead, so we could accommodate everybody. Did you know much about the Ghanaian traditions? I had some idea. I knew Jeffrey and I had to wear matching outfits and that my family had to write a list of gifts that my partner’s family would have to buy and present to us. We consulted the elders because we wanted to make sure we did it properly. They advised us about the order and little things that I didn’t know. The families sit opposite each other with the elders of each family in front, so it’s very much like a standoff. They had to barter over me for an hour and then once my family was happy they called me out of a ‘hidden’ room. As I came into the venue I was flanked by my girlfriends who made a big fuss to announce my entrance. Jeffery and I had matching outfits made from traditional African cloth. Our color scheme was brown, gold and beige. Even though I’m Ghanaian I wore a gelè (headscarf), which is a very Nigerian thing, because I wanted to feel like a queen. The fabric was Vlisco print which we purchased from Holland Textiles in central London and the dress was handmade and designed by Vera Antwi of Kuti Boutique. She applied over 500 Swarovski crystals to the outfit by hand! My hair, makeup and dress were all taken care of by Vera. She was amazing! Not only did she make my dress and do my makeup on the day, she was my right hand woman and kept me calm when it was all getting a bit much for me. 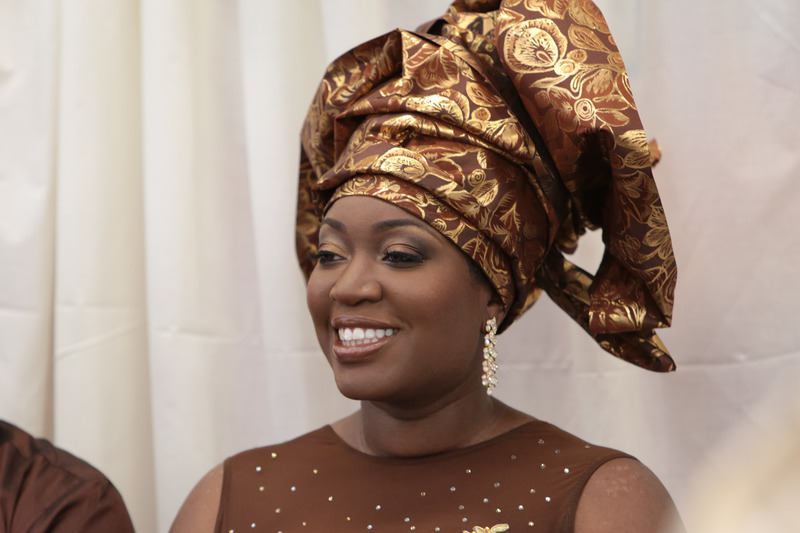 What was your biggest challenge as a modern African bride? The biggest challenge is keeping the elders in your family happy while also making sure the day has your stamp on it. It can be a tug of war. You might be paying for the ceremony but your family feels they should control it and decide who should come. It’s important to know how to set boundaries. 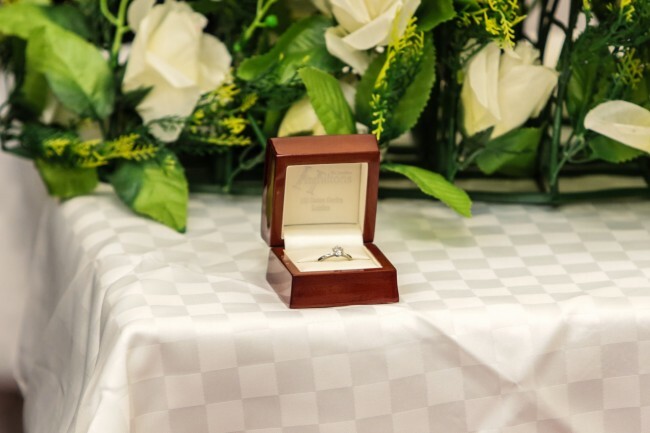 Catherine and Jeffery are currently planning a lavish western ceremony later this year at a church in London. Look out for pics coming soon! How did Catherine chose her spokesperson? Was it a family member ? Are there any rules about who the spokesperson can/should be?